A recent Economist article cautions that although nanotechnology offers great promise, an incomplete understanding of the potential dangers and the lack of a unified regulatory framework threaten the potential of the research. Drug delivery, water filtration, reduction of water and air pollution, antimicrobial product coatings, and cancer treatments all stand to benefit from advances in nanotechnology. But a better understanding of the potential hazards of this research is essential to its progress. And despite the concerns of scientists, the public is not engaged with nanotech policy. In a recent study, Dietram Scheufele found that experts reflect greater concern than the public about nanotechnology (Via Framing Science). Another study concluded that in discussion of similar science policy issues, absent a conflicting viewpoint, safety reassurance from scientists and governmental officials satisfies the public opinion. Glenn McGee, director of the Alden March Bioethics Institute, points out that any field with the potential to effect both scientific research and industry necessitates responsible public dialogue—and the time is now, as the public is demonstrating interest in nanotech possibilities. A 2006 UNESCO report concluded that although research outcomes will impact developing nations, weak or nonexistent policies pose a hazard to the world community. John Daly, a UNESCO board member, explains that because nanoparticles behave differently than materials in bulk, scientists need to explore their potential hazards. In addition to the ethical concerns associated with nanotechnology, there are unaddressed practical and safety concerns including: nomenclature, definitions, and standards; hazard characterization; exposure and effects assessment; environmental fate, transport, and persistence; and measurement, sampling, and monitoring of nanomaterials. The potential for nanotech requires that international dialogue involve both developed and developing nations (some 44 nanotechnology labs operate outside of the US). A recent call for regulations in India reflects this concern, where potential problems for ongoing research must balance unanswered ethical questions with $225 million in government-funded support for the new technologies. 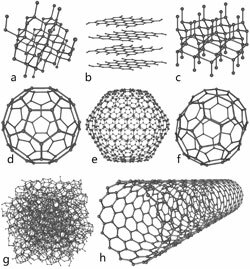 In the United States, the National Nanotechnology Initiative, a multi-agency organization leads the government in its development of policy and distribution of financial resources. With $1.44 billion in funding allocated for nanotechnology in 2008 and just $59 million allocated for the study of ethical, legal, and social concerns, the U.S. stands to face problems stemming from substandard regulatory preparation. NNI published a report on the regulation of nanotechnology; however, actualization of any recommendations will prove problematic and involves navigating the logistics, staffing, and other constraints of its 25 member agencies. Of concern is the lack of any individual regulatory agency for any area of nanotechnology.